Now that the holiday season is upon us, you might take a look at your home through the eyes of your guests and see that your home could use some updating. 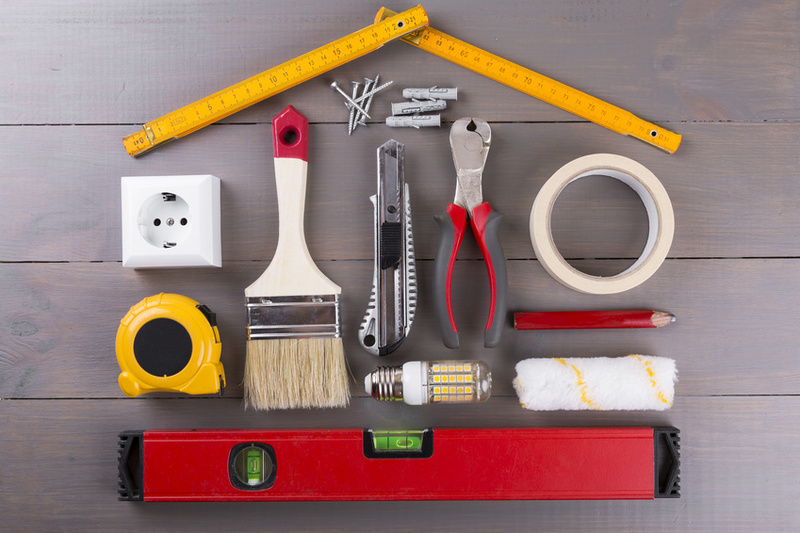 After all, even a minor kitchen remodel has an average ROI of 82.7%, so whether you’re planning on selling or not, a renovation can add a lot of value to your property. Still, even with the immense value a renovation promises, you probably won’t want to spend an arm and a leg making your kitchen or bathroom look its best. But are there ways to save a bit of cash on a renovation without compromising on quality? You bet. The tips below will keep some extra money in your wallet this season but will still allow you to improve the look and feel of your home. Once you determine the budget of your renovation, you’ll need to decide when it’s going to be done. Of course, you should pick a time of year that works best for your family. A renovation isn’t likely to be terribly convenient no matter what, since it can take several weeks to three months to complete a renovation (and that’s when you have help from professionals!). A kitchen remodel can be a huge commitment, as it will impact your ability to cook at home (and will force you to spend more on take-out meals) or may even be so extensive that you decide to live somewhere else during the renovations. This may be the case with large-scale bathroom renovations too, and that should matter to a lot of homeowners. In fact, 60% of survey respondents in a Houzz survey said they planned to remodel their master bathroom. If you’re budgeting for a bathroom remodel, make sure you’re realistic about the time this project will take and factor those associated costs into your budget accordingly. You may also save more by choosing to remodel during the colder seasons. For instance, Home Depot runs a Kitchen and Bath event from mid-January through mid-March. If you’re planning on purchasing materials for your reno during that time, you could save up to 40% off on these purchases. But spring and summer are immensely popular seasons for renovations, so you might end up paying more than you’d bargained for. Plus, you’ll probably have to compete with a lot of other homeowners to secure contractors, designers, and more — and that competition means higher prices. If you’re able to schedule your renovation for wintertime, that decision may pay off. Sometimes, a huge renovation isn’t even necessary. Something as simple as a new coat of paint can completely change how you feel about a room. But how and when you buy your paint and get to work can make a difference. Repainting a room yourself may not save you a lot in terms of the cost of materials, but it can trim down labor costs. For smaller rooms, in particular, this can be a good way to save a bit of dough. A 2017 interior design trends survey found that more than one-third of respondents would choose a neutral color palette during a redecoration. That means a significant amount of people want neutral walls to serve as a foundation for their design choices. But that doesn’t mean everyone is that picky. If you’d rather save money than find the exact shade of your dreams, you might want to consider looking in your home improvement store’s section for misfit paints. Home Depot, for instance, has an area for improperly mixed, mis-tinted, and dented paints that come with deep discounts. You may be able to find one-gallon paint cans from leading brands for $5 to $8 here. Just be sure to look at what the paint looks like inside the can before purchasing, as the colors may not always be well-suited for your project. And if you’ve got your heart set on a certain hue? Never fear — just wait to buy until a holiday weekend. A lot of home improvement stores like Home Depot will have sales on paint during Memorial Day, Independence Day, or Labor Day weekends that could save you anywhere from $5 to $25 on what you need. Don’t assume that the price advertised on the shelf or the sticker is non-negotiable. Firstly, a lot of retailers will be willing to match prices from a competitor. So if you take the time to shop around and see a better deal somewhere else, bring along a photo or an advertisement and see if they’ll honor the price. Home Depot will even give you an extra 10% off in addition to their price matching deal. You can also use damaged goods to your benefit. A lot of stores will give discounts on damaged merchandise already, but you could even score a deal because of damage to the box. And talking to a department head, supervisor, assistant manager, or store manager can save you a lot, too. If you take the time to talk to employees and have a good reason to ask for a discount (i.e., you’re making a lot of larger purchases), you might be able to get anywhere from a $50 to a $1,000 discount, depending on the circumstances. Don’t overuse this tactic, of course. But just know that it’s not out of the question as long as you’re polite. Buying items for an upcoming remodel on Black Friday may sound like a good idea — and in many cases, it is. But don’t assume that just because it’s Black Friday, it’s smart to make a purchase. With big appliances like a fridge, dishwasher, oven, or washer and dryer, you should go for it. This is especially true if you’re buying a suite of kitchen appliances, since savings usually increase if you can buy everything together. Last year, Sears offered $150 off a Samsung kitchen suite that was already subject to a 30% off discount, and Lowe’s and Home Depot will often offer 30-40% discounts plus rebates. But smaller appliances are a different story. While department stores want to get the big ticket appliances sold and off the floor, smaller appliances don’t take up much space. As a result, they aren’t as likely to be as heavily discounted. However, you may be able to get a great deal on appliances that double as popular holiday presents. Coffee makers, juicers, and blender systems are often great Black Friday purchases, particularly if you purchase online. We all know that remodels don’t come cheap. Even if they do provide a good ROI, full kitchen renovations can cost up to $65,000. So if you can save certain fixtures and repurpose them, you’ll be doing your budget a big favor. Cabinets that are in good shape are worth restoring, rather than replacing. You can paint them, stain them, or swap out the hardware to give them a fresh new look without paying top dollar. Since carpet, hardwood, granite, and other building materials aren’t as likely to go on sale for Black Friday or other holiday weekend sales, it probably won’t pay to wait for a discount. Prices stay pretty stable for these, so decide whether you can improve the look of what’s already in your home or buy a less expensive option that provides the look and durability you need without the hefty price tag. Keep in mind that vinyl, laminate, and acrylic options have come a long way in recent years. They look more like the real thing than ever before — so much so that no one will be able to guess you went the cheaper route. There are even manufacturers that make hybrids (so to speak) of natural and acrylic materials to give an even more authentic look that doesn’t cost as much as the real thing. It may not always be easy to save money during a renovation. Those costs can add up quickly. But if you take the time to plan and are smart about when and what you choose to buy, you can stay within your budget without making a sacrifice on function or aesthetic.